In southern Madison County, where Appalachia rests its foothills in the rolling meadows of Kentucky’s outer bluegrass, Todd Moberly grew up hearing stories among people from both the mountain and bluegrass cultures. 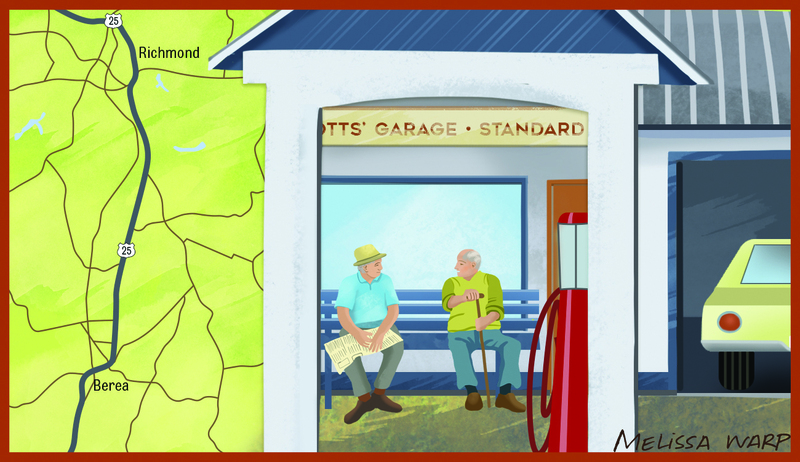 His grandfather Louis Potts’ Garage was, by Todd’s definition, “kind of a loafing shed” for farmers and traders in the community of Kingston, and a stopping place for many who traveled the busy north-south U.S. Highway 25 before I-75 was built. Todd’s uncle used to tell him about standing on that very corner and waving at Eleanor Roosevelt when she passed by on her way to an appearance at nearby Berea College, “And she waved back,” he would always say. 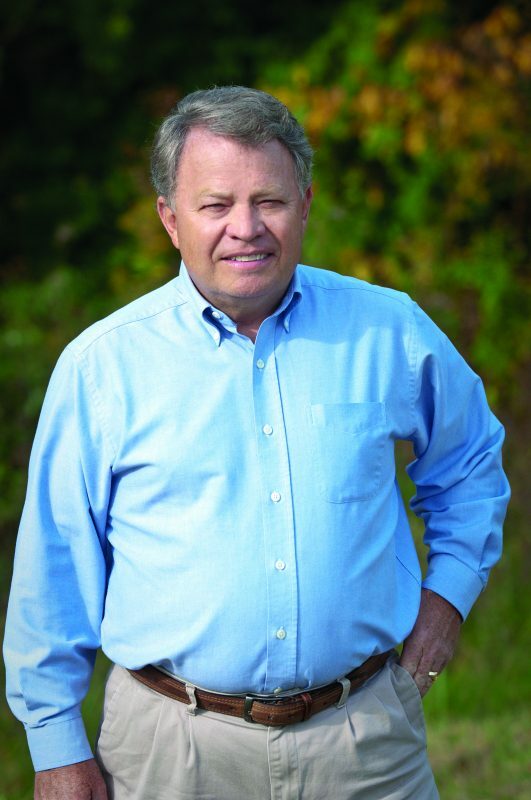 Click the image to see the archive of Bryon’s Kentucky Living columns. The garage business is long gone, but Moberly, a member of Blue Grass Energy, has never lost his fascination with the stories and language native to the region. After a 33-year career as a history teacher in Madison County, many of those collected memories have helped shape his book of short stories about the inhabitants of a fictional small community in central Kentucky. The title, Notes on Cracker Barrel Napkins, is borrowed from his favorite local restaurant around whose tables the book’s fictional narrator often shared stories with his family. His children saved notes of the stories on their napkins. Many of the stories involve tales of keepsake relics and heirlooms with an unusual or mysterious past, while others draw on a wealth of nearly forgotten folk-ways, humor, language and legend. Among the story titles: “Rose Petal Wine,” “In the Shadow of Pigeons,” and “The Rainbo School,” a boy’s recollection of Mack Perkins’ country store with its familiar “Rainbo Is Good Bread,” sign on the front door-pull. “In fact, I still have to think about how to spell the old ad’s first orange-lettered word—that caused me to get it wrong on a spelling test,” reads an excerpt from the story. “My third-grade teacher was matronly Miss Maude Ellen Hoskins. I still remember our brief exchange on the matter as she sat grading the tests at her big wooden desk. Seated on the front row, I was in her direct line of fire for interrogation. She peered at me over her chained, horn-rimmed glasses. It is indeed food for thought in Todd Moberly’s Notes on Cracker Barrel Napkins, ($14.95, published by Old Seventy Creek Press).